We have learned a lot of thing from our school books or college books. 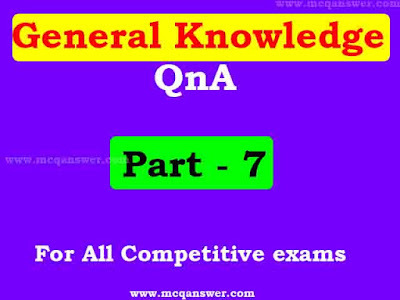 But in this post, you can read some awesome unknown facts that help you to gain your general knowledge to prepare any competitive exams or any competition. In this post, we share more than 50 secrets facts that blow your mind. 1. Less than 1 percent of Iceland is ice-free. 2. Every human lost 50 to 100 hairs in a day. 3. Opal has been found on Mars. 4. The hearing is the fastest human senses. A person can retrieve a small volume of 0.05 seconds. 5. Hamida Banu Begum was a wife of Humayun and the mother of Samrat Akbar. 6. Satish Chandra Bose founded Anushilan Samiti. 7. Bharat Ratna Sardar Vallabhbhai Jhaverbhai Patel is known as India's Iron Man. 8. Laika was a Soviet space dog who became one of the first animals in space, and the first animal to orbit the Earth. Laika died within hours from overheating, possibly caused by a failure of the central R-7 sustainer to separate from the payload. 9. Stereoscopic 3D television was demonstrated for the first time on 10 August 1928, by John Logie Baird in his company's premises at 133 Long Acre, London. 10. The Tamil language is the world's oldest language.